RG41 is a new-generation combat vehicle that emphasises combat power. The RG41 combat vehicle was exhibited at Eurosatory 2010. RG41 is highly mobile vehicle designed for modern warfare environments. The section crew seating arrangement of the RG41 armoured combat vehicle. The RG41 is an 8×8 wheeled armoured combat vehicle developed by BAE Systems South Africa. It is a new-generation combat vehicle, which integrates high mobility, protection and fire power in an advanced combat vehicle platform. The vehicle is suitable for multiple theatres. 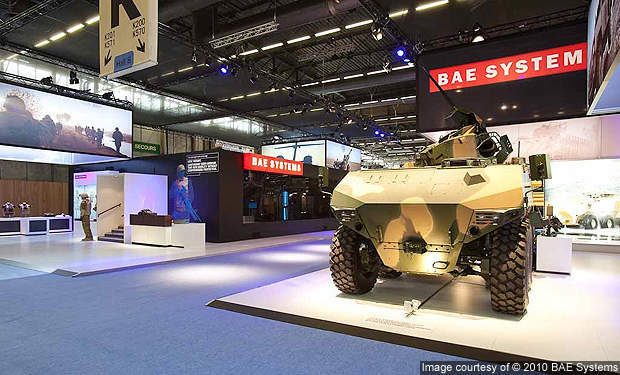 The RG41 development project began in 2008 and the first RG41 vehicle was showcased at the Eurosatory defence exhibition in Paris in June 2010. Designed for modern warfare environments, the RG41 is a low-cost, highly mobile combat vehicle. The field-repairable mine-protected design was developed by using the RG series technology, which has proved to be successful across the world in different environments. The ITAR (international tariff in arms regulation) free design mostly consists of commercial off-the-shelf (COTS) components. The lower hull of the vehicle comprises five modular units joined together and bolted under the top structure. The vehicle is based on the 8×8 wheeled chassis. The RG41 has a high payload capacity of 11t and offers 14.9m² of usable cabin space. The vehicle is fitted with 11 seats, each with safety belt four-point harness, and provides good ride comfort. 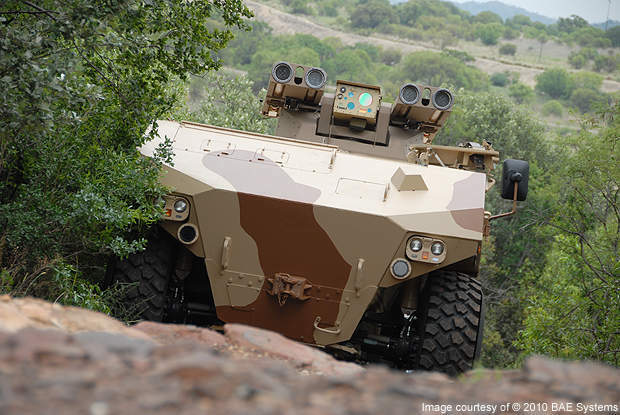 "The RG41 is an 8×8 wheeled armoured combat vehicle developed by BAE Systems South Africa." 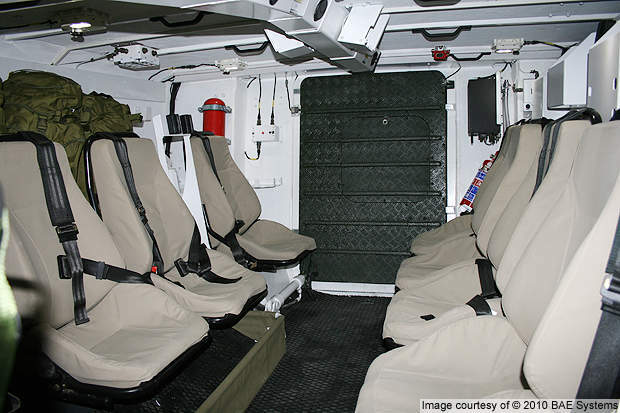 The vehicle accommodates a gunner and a section commander in the turret and seven troops in a hull compartment. The class-leading turning circle and good power-to-weight ratio improve the mobility and performance of the vehicle. The driver’s seat is placed at a very front of the vehicle for good vision. The space for the commander is provided behind the driver to take control over the section leader and troops. The vehicle contains a large section when it is equipped with a remotely controlled overhead weapon station. The RG41 is offered in several standard and customised variants for specific missions. The standard variants include a section combat vehicle, a command vehicle, an ambulance, a recovery vehicle and an engineering vehicle. The RG41 can be fitted with a range of conventional or overhead turrets and weapon stations. The vehicle demonstrated at the Eurosatory was fitted with the new TRT-25 remote weapon station (RWS). The TRT-25 is effective beyond the range of 2,000m and allows engagement on the move in day and night operations. The turret with minor modifications, can accept a number of weapons. The RG41 can be armed with direct and indirect-fire weapons. A 25mm Alliant Techsystems M242 Bushmaster and a 7.62mm co-axial machine gun can be mounted on the TRT-25 turret. A 360° video vision system is provided for vehicle commander. The field-upgradeable self-protection of the RG41 varies with the requirements of the user. The vehicle features a full-length semi v-shaped hull for high levels of protection against mines and IEDs. The lower part of the hull consists of the drive line and the structure is covered with a five-piece modular mine-protection package. "Designed for modern warfare environments, the RG41 is a low-cost, highly mobile combat vehicle." The vehicle also has an engine bay and a crew compartment fire suppression system. The RG41 is powered by a Deutz 2015TCD V6 engine. It is coupled to a ZF5HP902 five-speed transmission that transmits power to the two-speed 17,000 series transfer box. The engine delivers a maximum power of 390kW at 2,100rpm and a maximum torque of 2,130Nm at 1,300rpm. The vehicle can run at a maximum speed of 100km/h. The fully integral power-assisted steering system of the vehicle has twin steers. The main brake system consists of pneumatic disk brakes equipped with an anti-lock braking system (ABS). The RG41 is equipped with double wishbone-type, hydro-pneumatic strut and hydraulic shock absorbers. The hydro-pneumatic suspension provides a high level of cross-country mobility to the vehicle. The RG41 is equipped with a central tyre pressure regulation system. The vehicle has 16.00R20 Michelin XZL tyres fitted with 10.00R20 aluminium rims. These tyres reduce ground pressure and provide off-road speed. Run-flat inserts provide a range of 100km at 50km/h speed.